The Santana Retro blends history and modern manufacturing to create a highly musical guitar good enough for the man himself. Stunning Limited Run 2005 C.F. Martin D-42 Dreadnought Acoustic Guitar & Case. Built by master Luthier Dennis Galuszca, you will not come across another, so snap this golden girl while she is in arms reach! 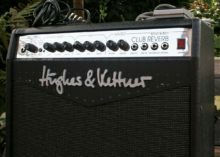 Lovely Hughes & Kettner Attax Series Club Reverb 1x12 65w Guitar Combo. Welcome to Really Great Guitars! Really Great Guitars is based in famous Spa town of Droitwich, in Worcestershire & is owned & run by Andy De Looze. Andy has over 35 years experience in the music industry. Besides owning & running many successful music retail businesses since the late 70’s, he is also a fluent & much-respected guitarist. RGG was created to cater for the growing demand of excellent quality guitars and amplification & as a professional musician himself, Andy knows only too well, what the musicians want, with regard to quality & affordability. Give the best, service, advice & value for money as possible. We have a No Nonsense approach to customer service & will do whatever it takes to keep you, the all-important customer satisfied. An Ongoing Selection of Top Quality Used Guitars and Amplification, as well as a complementary range of accessories. January 26, 2019 - Author: Andy. There are many reasons why someone might opt for a vintage guitar over a brand new one. First off, vintage guitars are beautiful. 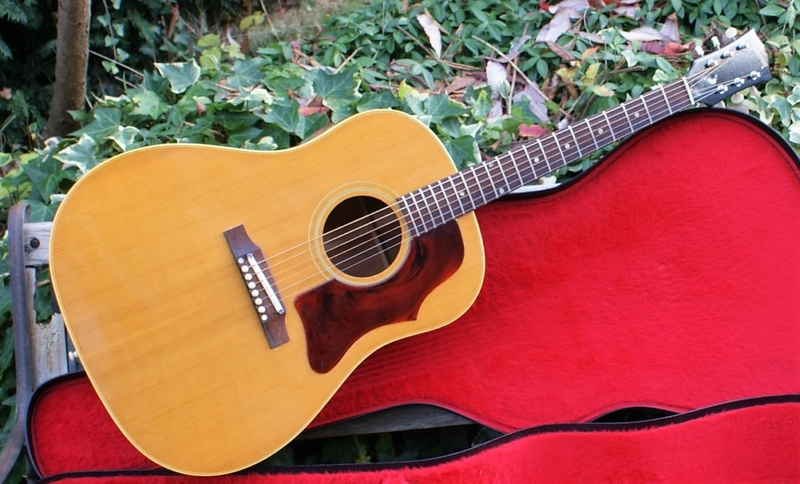 Just take a look at this lovely 1968 Gibson J-50 below, with Brazilian Mahogany board and original case. For a 50 year old, she is in 9/10 (Excellent) condition. You would be hard pushed to find a better example anywhere! Some manufacturers are strong believers in the idea that aged wood has superior tonal qualities. 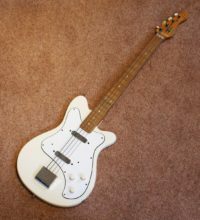 A lot of people also prefer buying guitars from a time when they were given a lot more individual attention as opposed to the ones created for mass market today. Either way, once you’ve decided you want to get your hands on a vintage guitar, you’ll probably start wondering what you should even be looking for. Well, we’ve got you covered. If you’re buying from an individual seller, it’s important to ask a lot of questions ahead of time and keep the communication ongoing throughout the entire transaction process. Do your due diligence on the character of the seller to make sure you don’t run any risks of being deceived about the guitar’s authenticity. What’s the condition of the guitar? Generally, professional sellers like us here at RGG will detail all conditional issues in the listing itself so you’re free to ask as many questions as you want before purchasing. Keep in mind that not all issues fall into the same category and that while some might make you reconsider buying, others won’t even affect the guitar’s playability or tonal qualities. How much does originality and condition matter? A lot! 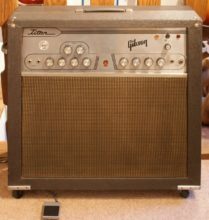 Two guitars of the exact same make, model, and year can be vastly different in price because of the condition they’re in. Some vintage collectors are also very particular about how many parts on the guitar are from the original manufacturer. An “All Original” tag can be extremely difficult (and very expensive) to find.If you see a guitar with a “refinished” label, it means that it was repainted at some point. Often a refin can reduce the value of a vintage guitar by 50%! So, if you’re looking for high collector value, you probably won’t be looking for a guitar with a spotless, shiny finish.A common issue with vintage guitars is headstock break. Although incredibly instrumental to the musical output of a guitar, the angle of the headstock itself combined with the high tension of the strings, and the strength with which the guitar’s played, often result in headstock breakage. Unfortunately, even though luthiers are able to repair them nearly to perfection, a guitar with a break is worth significantly less than one that hasn’t broken. 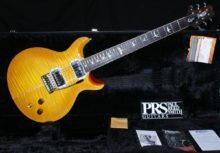 A vintage guitar labeled “player grade” means it’s musically desirable but has often had too many non-original finishes, or has seen too much use to be of interest to a collector. Which vintage guitars are worth the most? The value of vintage guitars ranges a lot depending on their make and date. For acoustic guitars, Martin dreadnoughts from 1933 up until WWII are some of the most sought after pieces by collectors. Gibson Jumbo acoustics (like the J-45 and J-50) and one-of-a-kind-artist-owned or historically significant guitars are also considered highly valuable.In the electric sphere, solid body Gibsons from the late ‘50s (like the original run of Flying Vs and Explorers or the elusive ‘Cherry Sunburst Les Paul Standards’ or Fenders between the years of 1950-64 are greatly coveted by collectors. The earliest Telecasters and Broadcasters are also highly prized. All in all, take your time and do your homework, as there can be substantial money invested. Please feel free to brows through our current inventory and always feel free to call us on 07932 074096 to discuss anything. We also generally take healthy PX’s against many of our high end pieces, so just ask!